Tom tells us how podcasts convert 25x better than blogs, how he validated Interview Valet, and why Tom is trying to set a Guinness World Record. Today’s guest, Tom Schwab, is Founder of Interview Valet, a concierge-level podcast booking service. 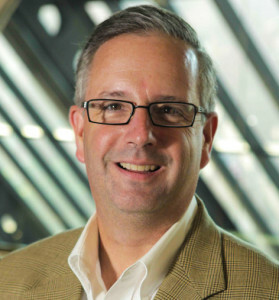 Tom helps small business owners, entrepreneurs and solo-prenuers get featured on leading podcasts that their prospects are already listening to. Then he shows them how to turn listeners into customers. Tom is also the author of CONNECT: Grow Your Business as a Podcast Guest and the creator of the CONNECT Online Course. If you want to learn more about Interview Valet, receive free training for getting on your first podcast or download the checklist that Tom uses before every interview, head over to InterviewValet.com/GoAndGrow. We’re going to learn how Interview Valet validated the effectiveness of the service, how podcasts convert 25x better than blogs, and which Guinness World Record Tom is trying to set. 7:55 – What was the process of validating the Interview Valet service? 11:45 – The appeal of the service for its clients is simple: podcasts are converting more successfully than other mediums, and they’re also cheaper. 15:30 – Tom has found that podcasts convert 25x better than blogs. 19:00 – Tom has been growing his business with an emphasis on strategic partnerships. 21:45 – Podcast interviews are easy to re-purpose. They can be converted to blogs, tweets, videos and more. 24:00 – What does Tom have in store for the future growth of Interview Valet? 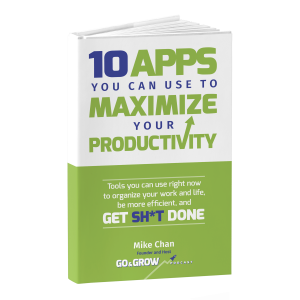 Maximize your productivity with our new ebook! Click here to download it now. As an entrepreneur, time is your most valuable asset and you need to maximize your efficiency and productivity. And technology can be really helpful in doing that. So I’ve outlined the 10 apps that help me to increase my productivity, and I’m sure they’ll help you too. So head over to goandgrowpodcast.com/productivity, grab my ebook, and start being more productive today! There’s a book called The Science of Success by Charles Koch (affiliate link) talks about how we hire for character – and Tom agrees. You can learn more about what we discussed during the episode at InterviewValet.com/GoAndGrow, including free training for getting on your first podcast and the checklist that Tom uses before every interview.